Last edited by myfirstg500; 01-19-2016 at 02:58 PM. 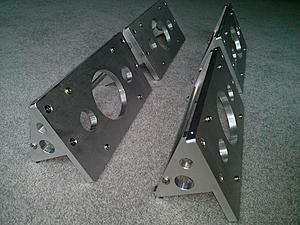 Currently they are only fabricated for the G500, G550 and G55. I will let you know if they will start to custom fabricate the frame for a G63. Unfortunately, it seems that cheap plastic bits are the norm for MBs these days. ...but yes, I am tired of it !! 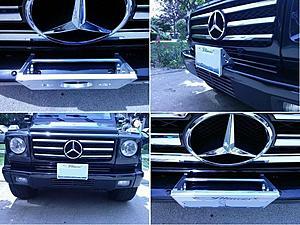 I'm presently looking at getting into a 2005/6 G-wagen...inside they seem like C-class cheap. But I'm not buying one for the inside, I'm buying for the off-road-ability. 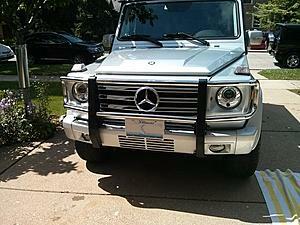 I see from your info that you have a G550. Please confirm the Year and Model of your G Class. We have a member from Massachusetts that ordered one for his 2014 G550 and it fit perfectly. We have another member that just placed an order two days ago, so we can make another one for you as well, good timing. Please PM us your email address so we can send you an invoice via Paypal. Freshly Fabricated! Ready to Go! We just had a member install the custom front license frame on their G320 and it fit perfectly. I want to order this, How can I do it????? Just had my front number plate and bracket ripped off! Need this upgrade urgently! We just finished fabricating five more sets and they were completed this week. We can ship it out first thing Monday morning to you. Email sent to the address you provided. Last edited by myfirstg500; 11-30-2014 at 05:24 AM. Hello. 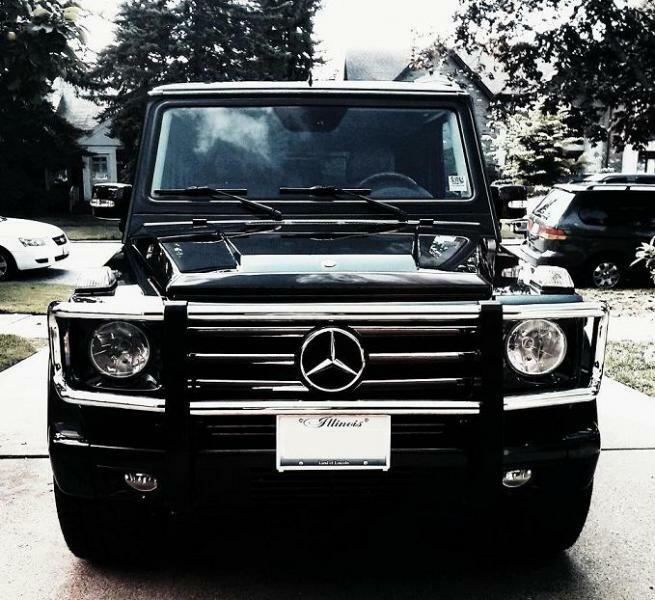 Anything for a G63? Thanks for your interest. 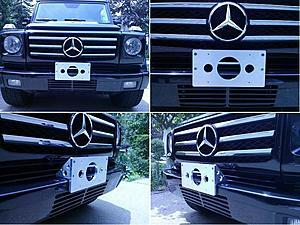 We need a G63 to come into the shop so that we can take the proper exact measurements. Are you located in the Chicago area? No, I'm in sunny California, which is why I need a front plate, unfortunately. Your holder looks great! Thanks for the response. Randy. We had a member come to us after going to a Mercedes Dealer which charged $270 for the plastic OEM frame. After the dealer put on the frame, they gave a bill of $570. The customer told them to take it OFF IMMEDIATELY! Lucky they didn't get charged for it because the dealer was not up front with the total cost. The Mercedes dealer charged 3 hours of labor on top of it because they had to remove the skid plate, front bumper and the cooler hidden behind, inside the front bumper. Just to put on the front plastic license plate holder. They came to us and we put it on for them in less than 3 minutes. 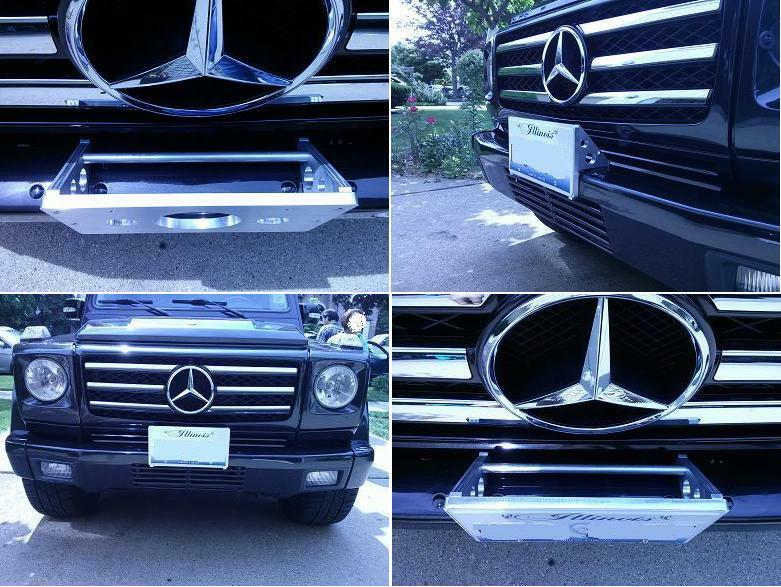 We installed it on a members 2012 G550 and they were very satisfied with the quality. Looks great. I'm ready to buy as soon as you make one for a 13 G63! I bought one and they really are great. The fitting is a bit tight however, the tolerances on the top are very very close to the lower grill bar. Had to loosen all screws on back of plate holder to fit it on. Once mounted, rock solid. 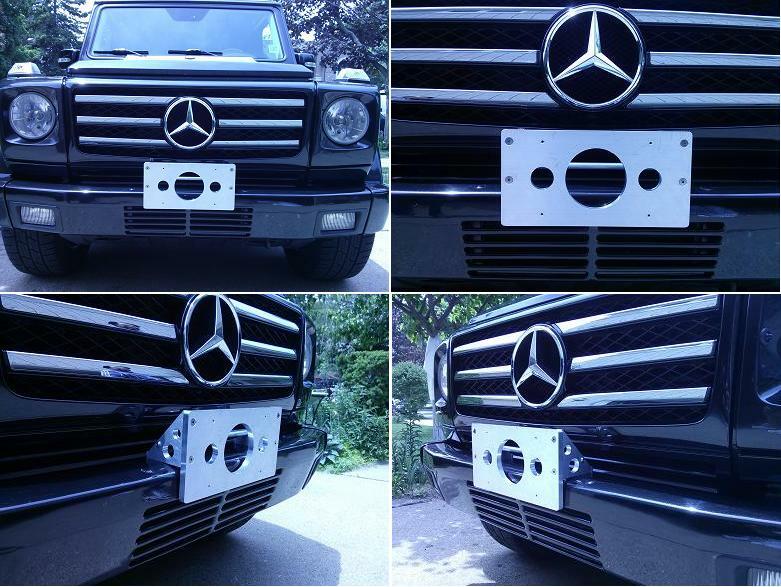 We've had members from Canada inquire about our custom license frame. We didn't realize that it also fits with Canadian license plates. We shipped out 3 to Canada and they fit perfectly! Are these front plate holders still available? I am interested in purchasing one. Thanks! We have 3 that are ready to ship! Will the locking hook in the rear of the bumper and under the front scratch/chip the paint? Any discounts for the MBUSA members? Sorry I'm new to this thread. How do I go about payment? The locking hook in the rear of the bumper and under the front will not chip the paint. The hook goes behind the first vent and does not touch the paint. We just fabricated 4 more and they are ready to go! Put one of these on my 98 G320. Works great!